Legal issues can arise when circumstances in your relationship or family life change. We believe that family and divorce law requires a rather different approach to many other areas of the law. The aggressive, adversarial approach can often inflame and prolong disputes which could otherwise have been resolved through conciliation and negotiation. At Sweetman Burke & Sinker, all our family law solicitors encourage communication rather than confrontation and we always consider the needs of the whole family, particularly the children. Although we will usually explore alternatives to litigation—mediation, for example—we recognise that some cases demand urgent court action and will not hesitate to go to court to defend and protect the interests of our clients. Whilst representing your views, we will also not avoid giving realistic and forthright advice, however hard it may seem. Whatever the approach, we will deal with your case in a sensitive and professional manner—always remembering that we may be changing the course of people’s lives. We pride ourselves on our high level of client care and communication. We consult you at every stage, keep you fully appraised of developments in your case and advise you throughout on the costs implications so that you can fully assess the benefits versus the costs involved. 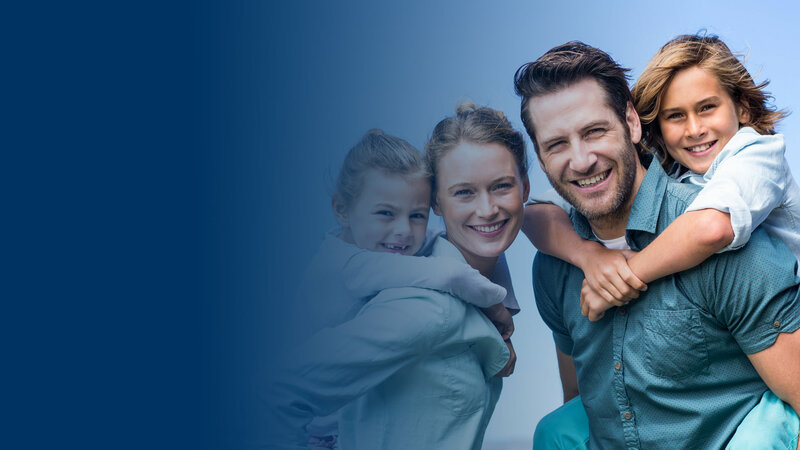 Our Family Department consists of a team of male and female Solicitors specialising in family law. We are committed to giving our clients high-quality advice and representation. Our support extends from advising our clients to attending court with them. We take a conciliatory approach towards relationship breakdowns and will always try to reach an amicable solution. For those not entitled to free legal advice, there is a fixed fee for straightforward divorces. If appropriate, we will recommend mediation to give you a chance to discuss your issues with a third party which can result in a speedy and amicable resolution. If an amicable solution cannot be reached, we will represent your interests by making the appropriate applications to the court. We will do our utmost to reach a favourable settlement so that you get your fair share of assets and income for your future. Our team of experts can also assist with any financial issues arising from a relationship breakdown. This includes dealing with a property as well as lump sums, pensions and maintenance. It is imperative to obtain specialist advice in these circumstances, and agree an amicable out-of-court settlement wherever possible. If an agreement can be reached, we’ll formulate it into a Consent Order which can be approved by the court. If this is not possible, we will provide clear advice as to your legal position and ensure that you are properly represented throughout the negotiation process. If an out of court settlement is not possible, the parties will need to attend mediation before any application for financial remedy proceedings is made to court. Our team of Solicitors are experienced in dealing with financial matters, whether the assets involved are small or large. We are well-equipped to advise and assist you in dealing with an extremely important area of the divorce and separation procedure to ensure that your financial future is as secure as possible. At Sweetman Burke & Sinker, we understand the importance of having experienced, sensitive guidance from your legal representatives throughout your divorce. The advice needs to be straightforward and, once you have decided on the way forward, your case needs to be dealt with promptly to try and reduce financial costs and the emotional impact. Our aim, wherever possible, is to avoid protracted court proceeding to encourage both parties to communicate and find a resolution. If you are going through a divorce, we will assist you in relation to the procedure to seek agreement concerning the divorce petition before proceedings are issued. We offer a fixed price divorce so you know exactly what the costs will be before you proceed. Sadly, when a relationship breaks down the children can get caught in the middle of the dispute. Resolving differences between the parties appertaining to the children needs to be dealt with in a sensitive way whilst protecting your position. Our aim is to quickly reach an agreement regarding who the children will live with and how much time they will spend with each parent. If this is not possible, then the court requires the parties to attend mediation to try and resolve outstanding issues concerning the children. If mediation fails and proceedings become necessary, we have a highly experienced team of Solicitors dealing with matters relating to children, who can assist in deciding who the children should live with and how much time they see the other parent. How frequently and under what conditions the non-resident parent should have contact. One parent removing, or attempting to remove, a child from the other’s care or from the country. We also assist in other areas, such as change of name, children’s schooling and parental responsibility. We can assist parents and other family members who are currently involved in child care disputes with the Local Authority . If you do not want a divorce, we can advise on separation and will ensure your finances and rights regarding your children are safeguarded while you remain married. Our members follow a code of practice that promotes a non-confrontational approach to family problems and encourage solutions that consider the needs of the whole family, particularly the children. The law treats unmarried partners differently to those who are married. We can advise and assist unmarried couples with disputes that may arise regarding finances or children. Our Solicitors can advise unmarried couples to help prepare a cohabitation agreement which will protect the interests of both parties and minimise the chance of court proceedings and associated costs. Should the need arise, we can assist in relation to applications to court under Schedule I of The Children Act 1989 or under The Trusts of Land & Appointment of Trustees Act 1996, which governs property disputes between unmarried parties. Sweetman Burke & Sinker are experts in domestic violence, whether it is against a husband, ex-husband, partner, ex-partner or family member. We can assist in obtaining an order protecting you from abuse (physical, psychological or emotional). The order will not only protect you from violence but may also enable you to remove the other person from your home. Victims are usually entitled to legal aid if they can show that domestic violence has occurred and there is evidence from a GP or police. For assistance, please do not hesitate to contact Gillie Lizra on g.lizra@sbs-law.co.uk or call 020 8840 2572.